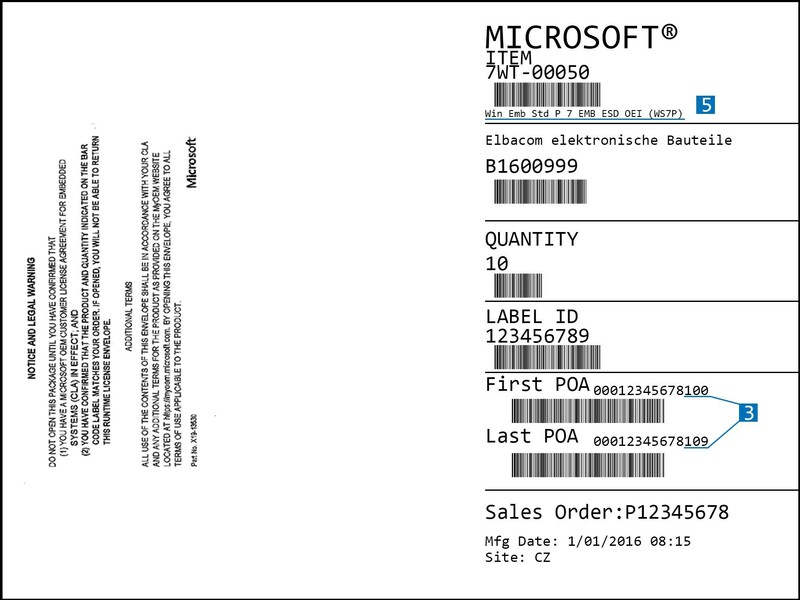 Embedded OEM Customer (OEM) contacts Elbacom as a Microsoft Authorized Embedded Distributor. OEM obtains a free evaluation software or purchases a full version toolkit from Elbacom. Evaluation version are fully functional and work for up to 180 days. Image Configuration Editor) can be used in the full version without any change. CLA) which enables the OEM to buy licenses and retrieve OEM Pre-Installation Kits (OPKs). Elbacom provides Additional Licensing Provisions (ALPs) for the chosen embedded product. Embedded OEM Customer (OEM) fill out the CLA online. Elbacom and Microsoft check the data and approve the CLA. The OEM will receive the digital CLA contract. After the OEM signs it, Microsoft will counter sign it. The customer can now order licenses and OPKs. Elbacom provides Embedded OEM Customer (OEM) licenses, OPKs, toolkits. Embedded OEM Customer (OEM) starts shipping devices. The CLA defines the standard licensing terms which enable the Embedded OEM to buy Embedded licenses and receive OEM Pre-Installation Kits. A Customer License Agreement is valid for 5 years. A customer must have a valid CLA in order to get licences or OEM Pre-Installation Kits. More information about the CLA is available here. The ATs define distribution rights and restrictions specific to each Microsoft Product. The Additional Terms are available on MyOEM. OPKs include components such as preinstall tools, product bits, pre-installation manual, and a Product Key. On OPK provides all the tools (e.g. Setup-DVD) which are necessary to install the embedded operating system. A COA is a product specific license sticker which must be attached to a embedded device prior device distribution. Each COA represents a license to distribute a single Embedded System with MS Products installed. A COA is required for each Embedded System that the OEM Customer distributes. You will receive the Certificates of Authenticity (COA) in an envelope. The COAs are located on a strip where they can be easily removed to affix them on the devices. There are different types of COAs available. 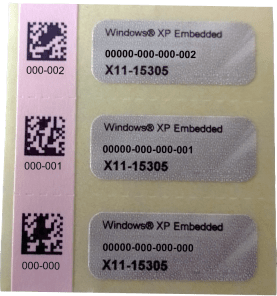 Normally Windows Embedded Standard and Windows Embedded Compact use the Thumbnail COA which is displayed below. Windows Embedded Enterprise and Windows Embedded Server use the regular size COAs. 2D Barcode – contains the replicators internal ID for the COA which is also written in a readable format right below the code. This pink label must not be affixed to the device. 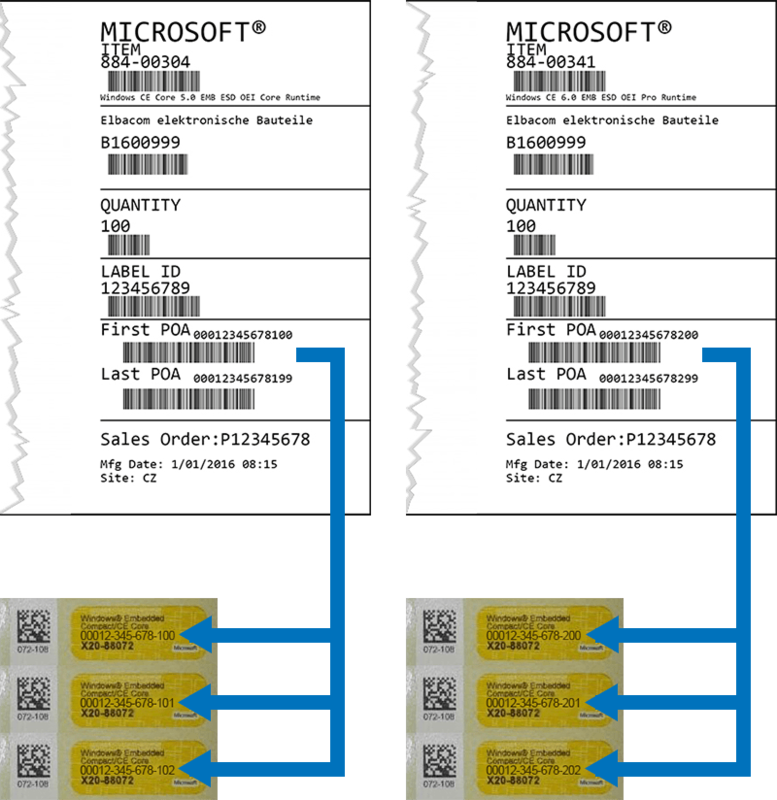 2D Barcode – contains the replicators internal ID for the COA which is also written in a readable format right below the code. This label must not be affixed to the device. All CE and Compact Product have an identical Sticker. In our example, a customer buys two different CE products. But how can you differ the products? First, please look on the printed information on the envelope. You can find there the range of the serial number (First POA & Last POA). This serial number is also listed on the sticker. Aligned to this serial number you can identify now which sticker belongs to which license. This example would be also possible with POSReady 2009 and POSReady 7. 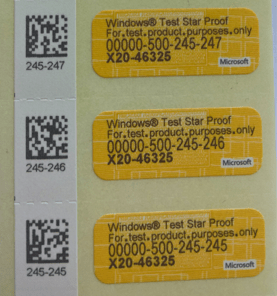 Windows XP Embedded and Windows Embedded Standard 2009 contain a Product Key card that contains the key to be used to activate the embedded image. 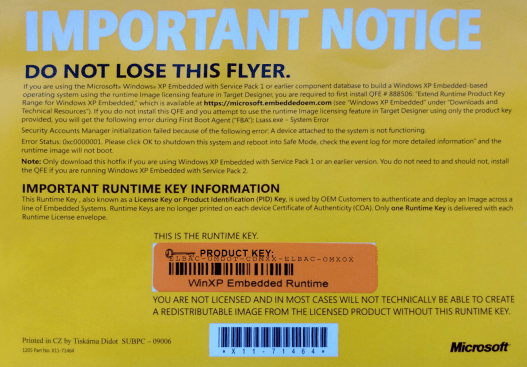 Please Note: Product Keys for Windows Embedded 7 or later are no longer shipped with the runtime license envelopes. To request your product key please follow the steps at Product Key Information. EPKEA: You will get a Master Product Key for your Image. You can activate this Product Key for 50.000 times. PKEA: You will get a different Product Key for every single device. Please Note: EPKEA Product Keys for the this product are no longer shipped with the runtime license envelopes. To request your product key please follow the steps at Product Key Information.